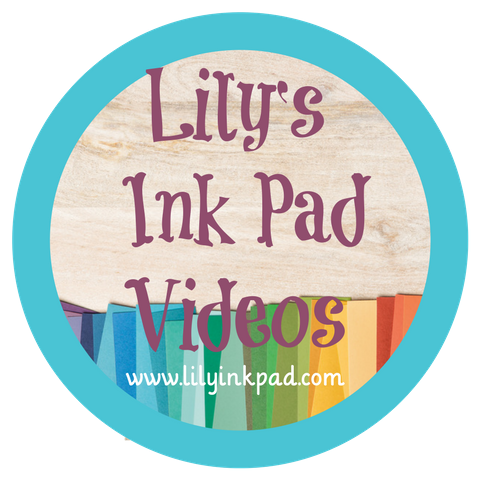 Lily's Ink Pad: Ideas a Plenty, Part 2! As promised, here is part of two the great projects I got at the Shoebox Swap. Isn't this darling? 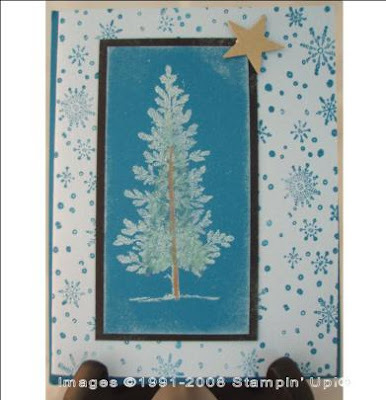 The creator of this card is Julie Anderson. How creative! She used the Scallop Punch to create the teeth marks! So cute! 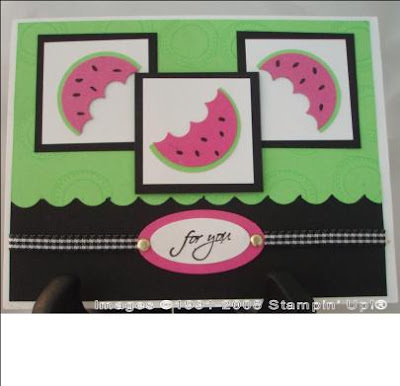 Stamps: All Holidays Ink: Basic Black Paper: Green Galore, Pixie Pink, Basic Black, Whisper White Accessories: Circle Punches, Scallop Punch, Oval Punches, Black Gingham Ribbon, Gold Brads, Slit Punches. It was punch mania and I loved it! This set is one I coveted, but couldn't afford for a while. I used it vigorously when I first got it and have since replaced it on my active stash with new ones. I am glad to be reconnected with it. It's a versitle set. 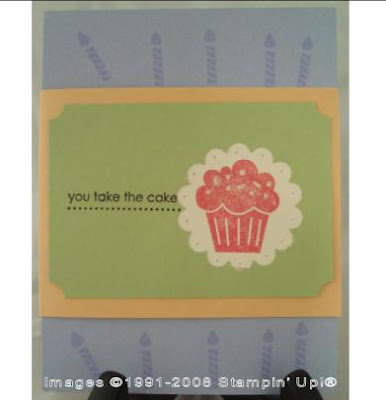 Stamps: Simply Said, Sincere Saluations (one of the first sets I bought), Paper: Pretty in Pink, Certainly Celery, Basic Black, Whisper White. Ink: Basic Black. Accesories: Pretty in Pink and Certainly Celery Stampin' Write Markers. I love the way the black layer sets the rest off! This is a favorite set of mine that I do not own. I have seen so many amazing examples with it, that I was glad to see it used here. The color combination on this one is striking. I never think to add green and yellows together! I did make a mistake. The shaded oval is supposed to be a shade lighter. I used the wrong ink pad. Opps! I also forgot, it seems, to trim my ribbon ends! 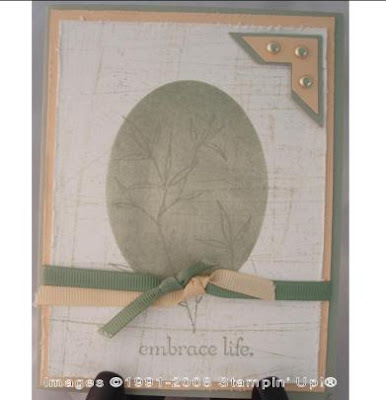 Stamps: Embrace Life. Paper: Apricol Appeal, Mellow Moss, Very Vanilla. Ink: Mellow Moss, River Rock (which is why I accidently skipped it) Accessories: Gold Brads, Photo Corner Punch, Coluzzle, 1/4 mellow moss and apricot appeal Grosgrain Ribbon, Distressing tool. What's cool about this card, is that it's a new twist on a well-loved set. I learned a new technique called Black Magic when making it! Be sure to see this technique in an upcoming workshop (after I buy the pure color pencils). Yes, even demonstrators get hooked on new products after using them! Stamps: Lovely as a Tree, Snow wheel (retired, I think). Paper: Pacific Point (a new In Color), Basic Black, Bashful Blue. Ink: Whisper White Craft Ink, Pacific Point. Accessories: Small Star punch, Pure Color Pencils (metallics). a brand-spanking new set! I have this one, also, but have stashed it for later use! 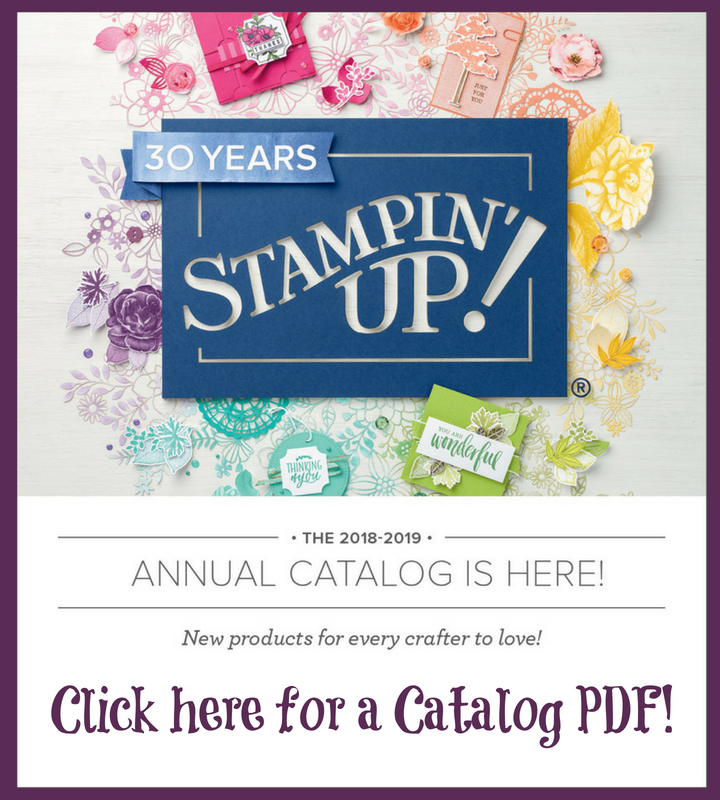 This is a new set that will be in the new Fall-Winter Idea Book and Catalog coming out in August! Yippeee! It's a fun, bright, bold one! 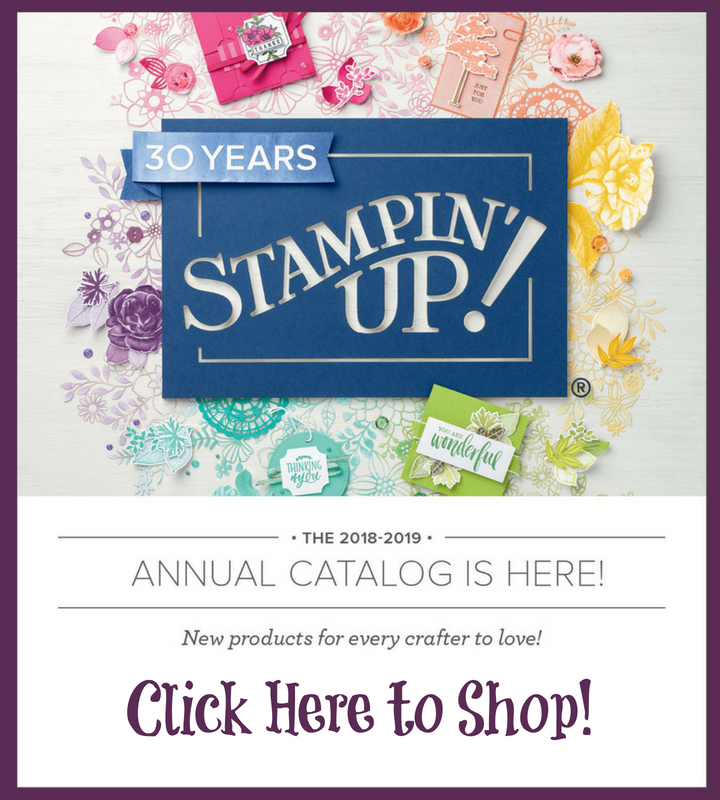 Stamps: Party Hearty, Paper: Almost Amethyst, So Saffron, Certainly Celery. Ink: Versamark, Regal Rose. Accesories: Paper Piercing tool and mat, Scallop Punch, ticket corner punch. I am exhausted! 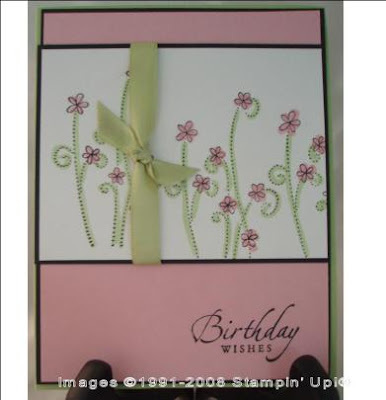 I had a great time and would like to thank all the demonstrators I met for such neat cards and ideas. It was fun to be a customer for once and just play for a night! Thank-you! I LOVE the watermelon; adorable!